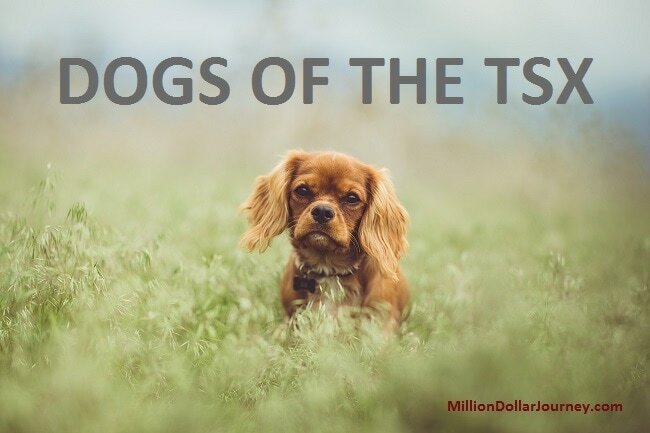 At the beginning of the year, I wrote an article about the Dogs of the TSX also known as the Beating the TSX stock strategy (BTTSX). In this strategy, the largest publicly traded companies in Canada are sorted by dividend yield, then the top 10 positions are purchased annually (remove former income trusts and stocks that have a history of dividend cuts). I wasn’t planning on writing a mid-year update, but I recently received a number of emails about the topic and thought it was a good time for an update. As magical as it may seem, this strategy has been outperforming the TSX over the long term. Mind you, the strategy does not outperform every single year, but it has outperformed over the long term (past results do not guarantee future returns). Between 1987 and 2003, the BTTSX had an average return of 12.47% vs the TSX which has returned about 9.5%. As you know, small improvements in portfolio performance can lead to a significant difference in portfolio size over the long term. Note my article on improving your portfolio performance by 1.7% through reducing your portfolio MER can lead to a 60% difference in portfolio size over 30 years. I like this strategy in that investors are getting the highest possible yield out of the largest blue chip stocks in Canada with the possibility of dividend increases (several increases already in 2017). The downsides are that there is annual turn over (usually minimal) which can result in a tax hit in non-registered accounts and potential lack of diversification depending on the year. The group is not bad in terms of diversification but could be better. We have 3 telcos, 4 financials, 1 pure utility, and 2 pipeline utilities. Ideally, we would also have a materials/resources, real estate, technology, and consumer stocks. More on how to build a proper dividend growth portfolio here. I used Google Finance and created a portfolio to help track performance over the year. If you have been following the market, you will know that the overall Canadian market has not been doing great thus far in the year, but thankfully, dividend stocks are doing a little better. The overall BTTSX performance so far is 5.2% including dividends. What about the Canadian index? Year to date, XIC.TO has returned about 0% including dividends. So far in the year, BTTSX is beating the Canadian index by 5 points, which is pretty significant. However, it’s only halfway through the year, and I expect to see more downward pressure on dividend stock returns as interest rates increase, so we’ll see where returns stand at the end of the year. Disclaimer: I have shares in all of the stocks mentioned in this post. This post should be used for informational purposes only. From time to time I love to see which stocks are the dogs of the TSX, especially if these dogs are dividend growers. I was underweighted in BCE and Enbridge so I took the opportunity to add more to my position. For Rogers, it has been in my dog house for quite a few years. Once this dog turned into a star I let it loose as I have BCE now. I just have a few of the same in your BTTSX portfolio (cute dog pic by the way) :) I have Telus, Fortis, and National Bank. Interesting that XIC (I also have XIC) has returned 0% for the year. Great update. I hold 3 of those stocks Enbridge, telus and national bank. Always nice to see the dogs vs the general market.